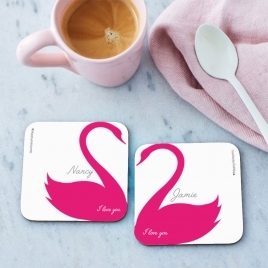 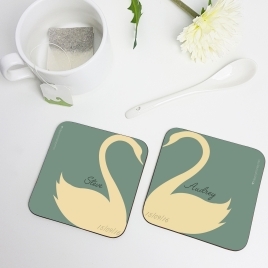 Personalised Swan Heart Coasters. 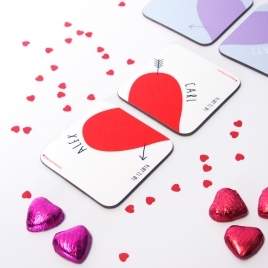 A very cute love token for your desk or at home. 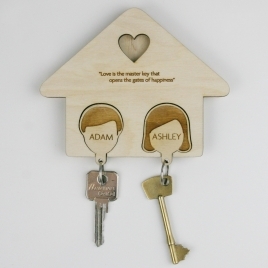 An adorable and beautiful quality couples wooden key rack with keyrings! 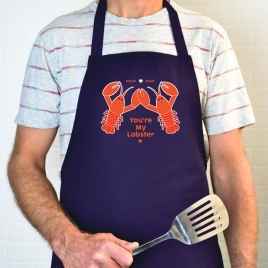 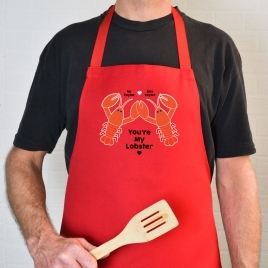 A lovely quality, personalised apron. 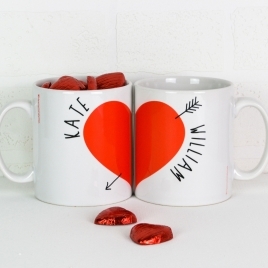 A cool, new design perfect for Valentine's or Anniversaries! 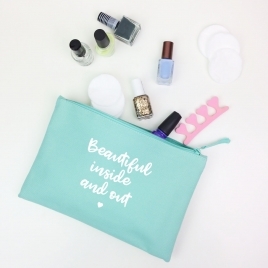 In a choice of 4 pretty colours, Mint Green, Sky Blue, True Pink & French Navy. 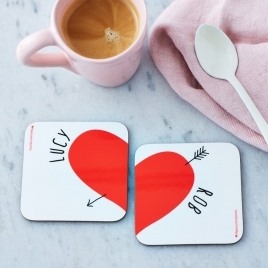 A cute little token for couples, and perfect for Valentine's Day! 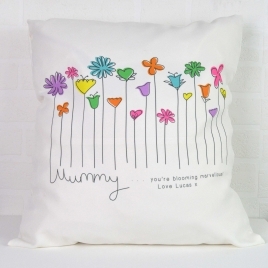 This blooming gorgeous personalised flowers cushion makes a beautiful Mother's Day Gift! 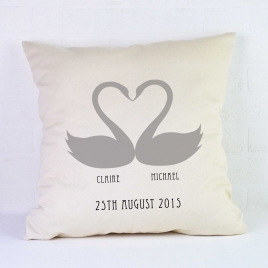 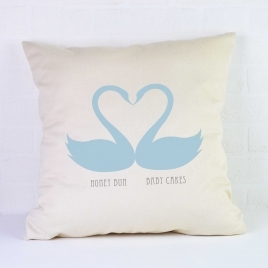 A delightful, romantic gift, this personalised swan cushion featuring two swans forming a heart, will be sure to become a treasured keepsake. 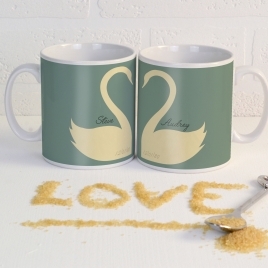 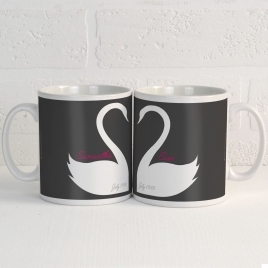 A gorgeous pair of personalised mugs featuring swans that when joined together form a heart....ahhhhh! 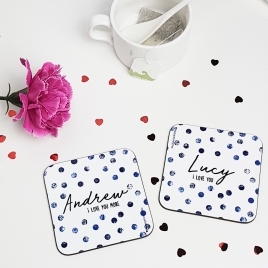 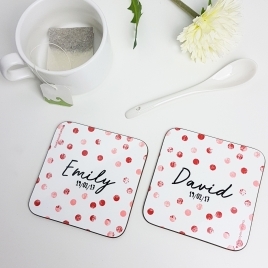 Personalised Love Heart Coasters Pair. 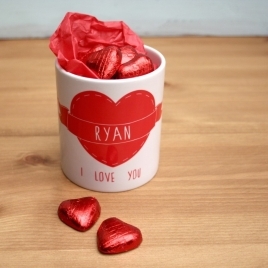 Perfect for Valentine’s, an anniversary or as a cute love token for your desk or at home. A delightful pair of hand printed personalised love heart mugs with solid milk chocolate hearts. 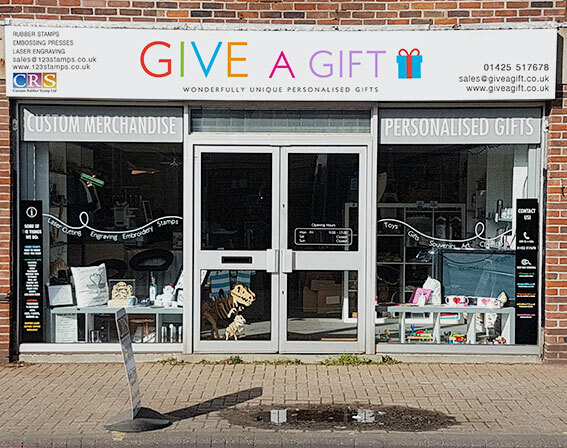 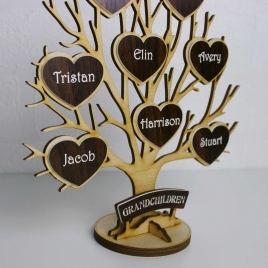 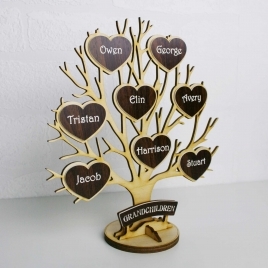 A beautiful free-standing engraved wooden Personalised Tree of Life sculpture that makes a stunning gift and addition to your home.